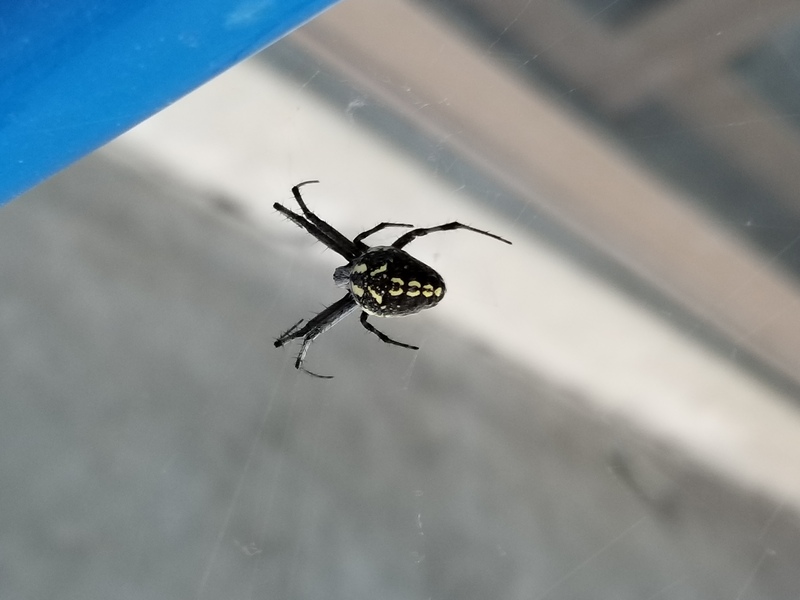 Might be a garden spider, however, the markings are not like the black and yellow garden spiders we researched. Anyone know what this beauty is? Hi, it is a garden spider. They are also called orb-weaver spiders because their webs are circular. I think yours is Neoscona oaxacensis. This species seems to be much less common than the black and yellow garden spiders, Argiope aurantia. The common name for yours is Western spotted orbweaver.